Chef Nicola filmed his cooking segment for Channel 13 this morning. 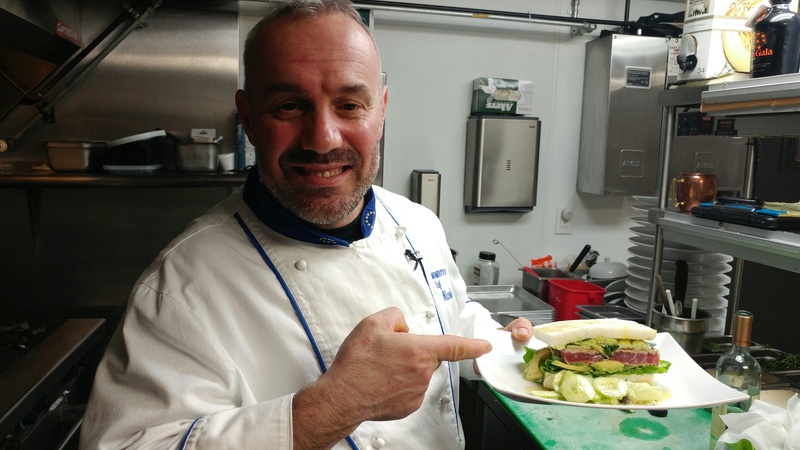 This month’s segment focuses on teaching viewers how to make Chef Nicola’s tuna sandwich recipe from his recently released cookbook “Chef Nicola – For Food, Family, and Friends”. This delicious sandwich is simple, includes fresh tuna as its key ingredient, is easy to create, and will afford you the opportunity to experience a whole new flavor profile in a tuna sandwich. Be sure to contact Momento Pizzeria & Restaurant to order a copy of Chef Nicola’s cookbook and watch Channel 13 in the coming days to see Chef Nicola’s cooking segment.